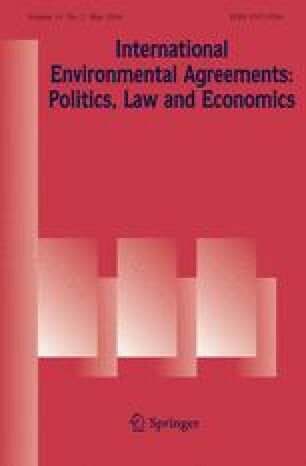 Is inequality within countries relevant for global climate policy? Most burden-sharing proposals for climate mitigation treat states as homogenous agents, even those that aim to protect individual rights. This can lead to free riders in some large emerging economies and expose the poor to mitigation burdens in others. Proposals that incorporate an exemption for the poor can avoid these outcomes, but do not account for the role of internal policies on the poor’s actual emissions and mitigation burdens. This will create moral hazards in the design of such agreements and risk the misallocation of mitigation costs when implemented. To ensure equitable outcomes at the individual level, international agreements would need to build in additional provisions to encourage benefiting states to reduce emissions and target exemptions to the poor. But such agreements will face political conflicts over sovereignty and the burdensomeness of such provisions. I am grateful to Joshua Cohen, Debra Satz, David Victor, and Larry Goulder for their invaluable guidance. I also thank Paul Baer and anonymous reviewers for their valuable comments.